Dining chairs with upholstered backs have always been considered the richest, most comfortable and often, due to the fabrics used, the most impressive. 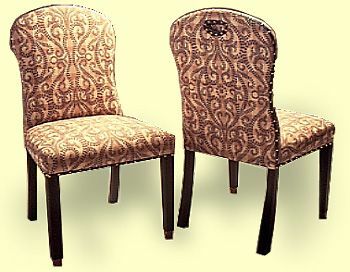 This model, with its handle back adds practicality to the list of attributes shared by upholstered dining chairs. Note: Pricing does not include fabric, the customer must provide their material.